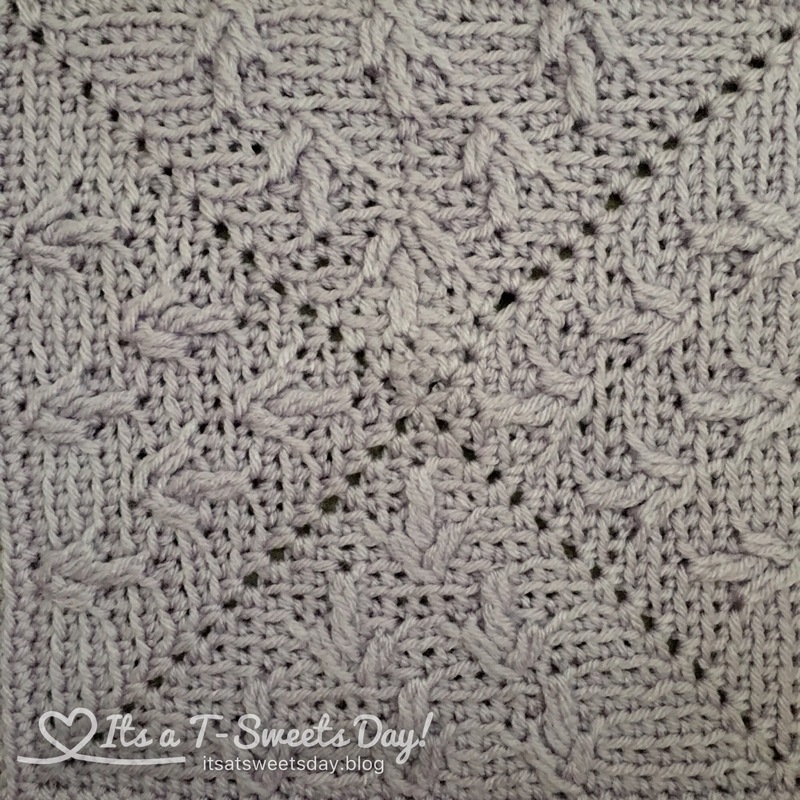 Stardust Melodies – Adventures in Crochet Texture – It's a T-Sweets day! Published on June 23, 2017 by Tracy @ It's a T-Sweets Day! 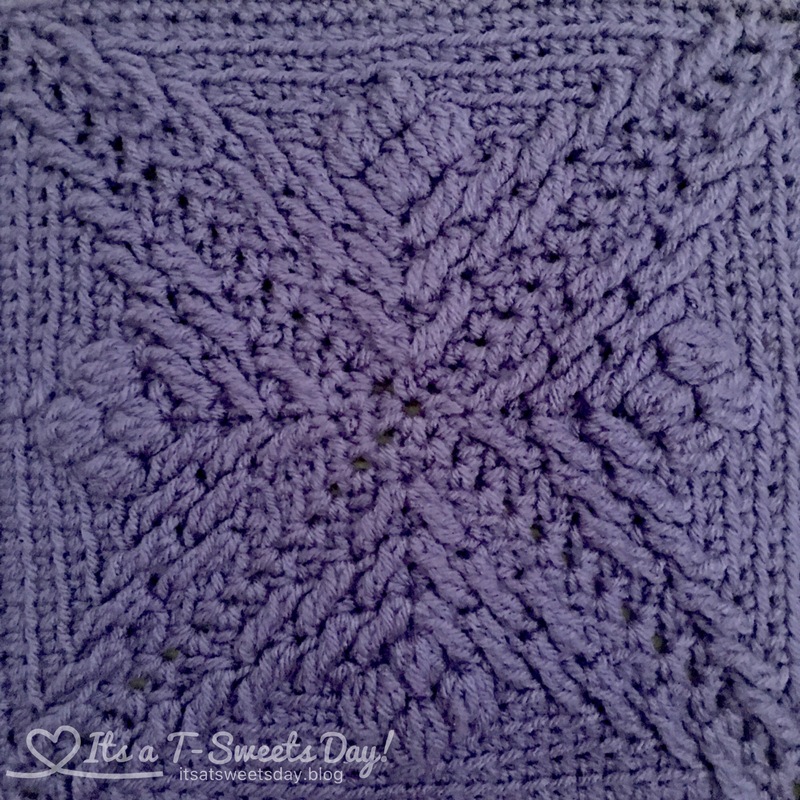 One of the things I really like about this CAL is that each block is a mini afghan in and of itself. 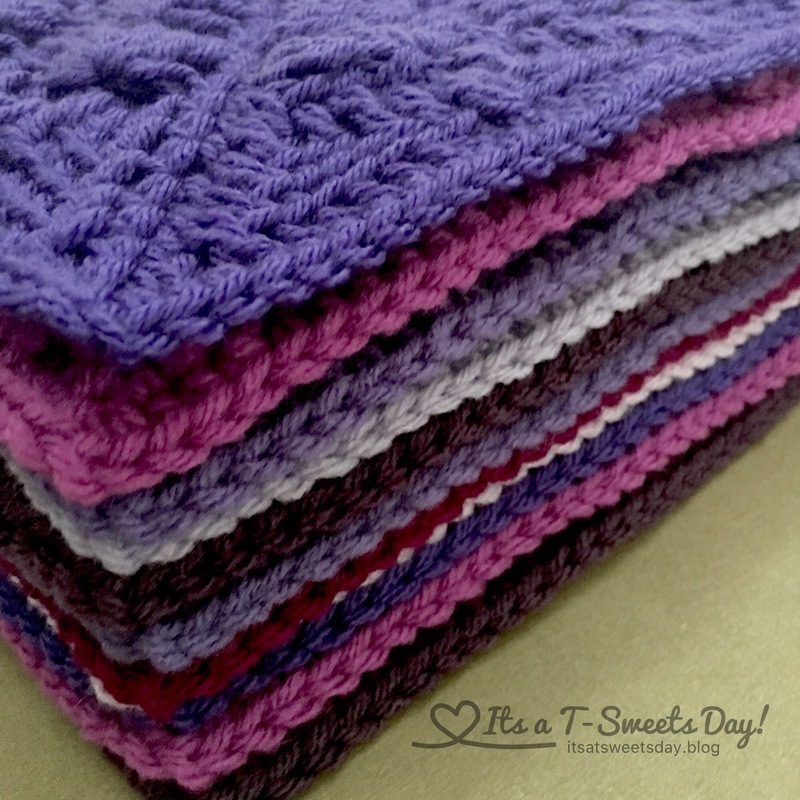 I can easily finish one in an evening of sewing or a short road trip with my DH. 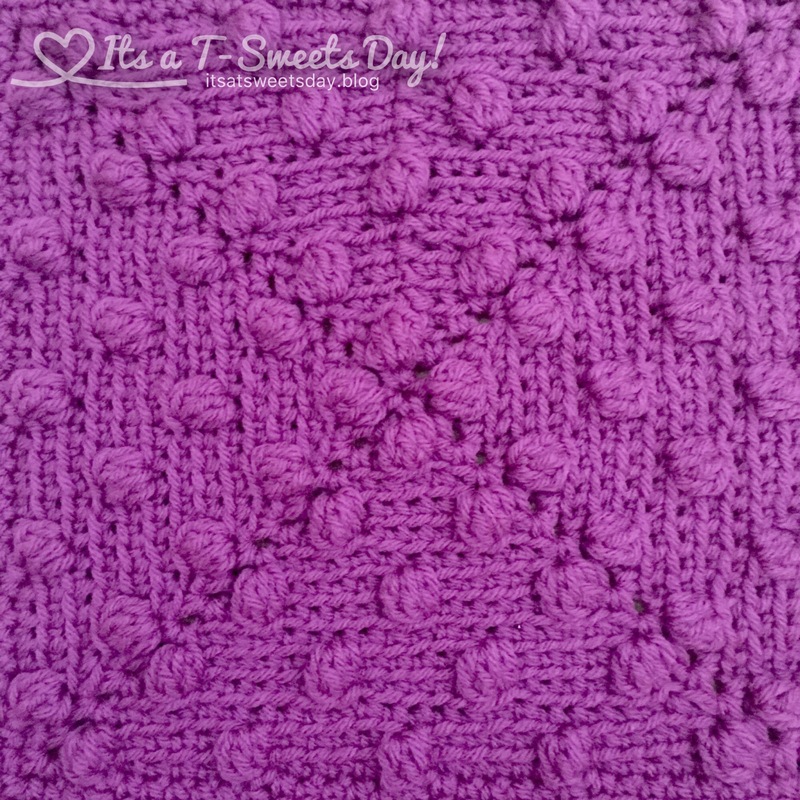 Most of the blocks are quite easy to just jump right in and crochet away. Don’t they look fantastic?! — But one block in particular took a little more patience. This one filled with “x”s was an adventure in stitch and frog, stitch and frog until I finally got it! 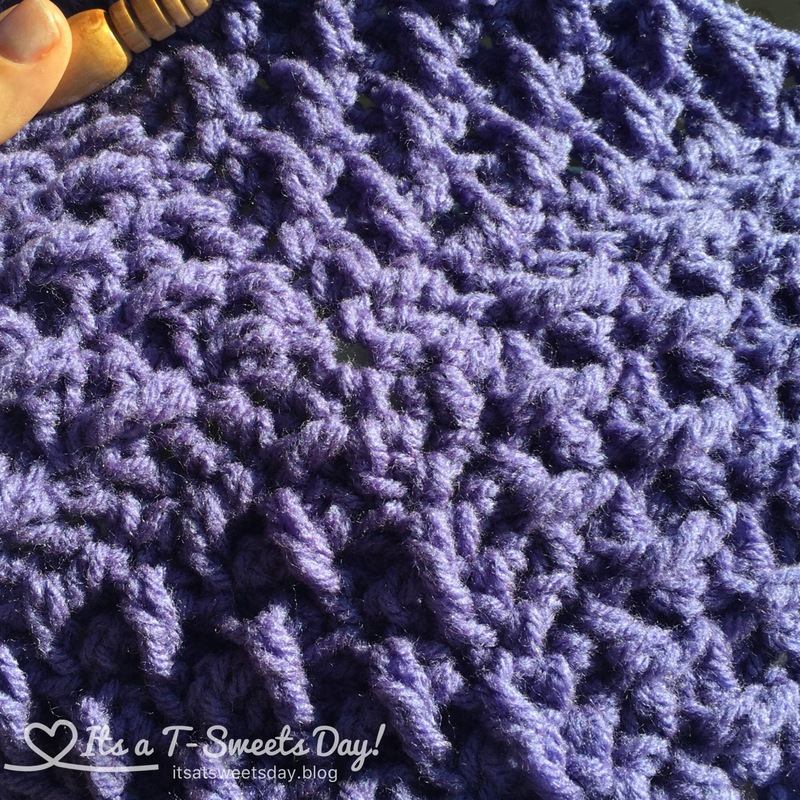 I have also learned that scratchier yarn is better than soft, silky yarn on this project. Here are my blocks neatly blocked and stacked. Yum! Yum! They are so SWEET!! And this is my current block that will be done tonight. It may be my favorite yet:) And now there are only 12 more to go! Thank you for stopping by:). I hope you have a great day filled with all kinds of creative adventures! Purple is my favourite colour, and I love the variations you have here! The blocks look amazing! I’ll have to bookmark that link so I can check it out another time. And a few of my current crochet projects, lol. This looks like a great little project! 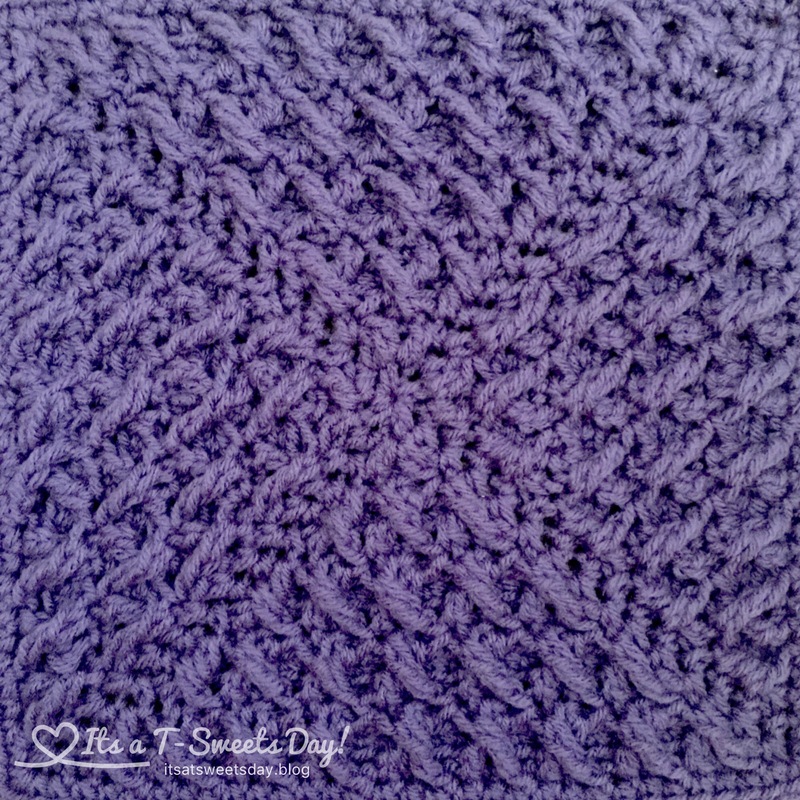 Each block is so pretty in colour, and I love the textures you are creating. I love those colors, and the textures are really interesting too. You are cruising right on through with this! Those colours are really wonderful together! Gasp. Gasp. Gasp. You are the goddess of crochet! Those are amazing! 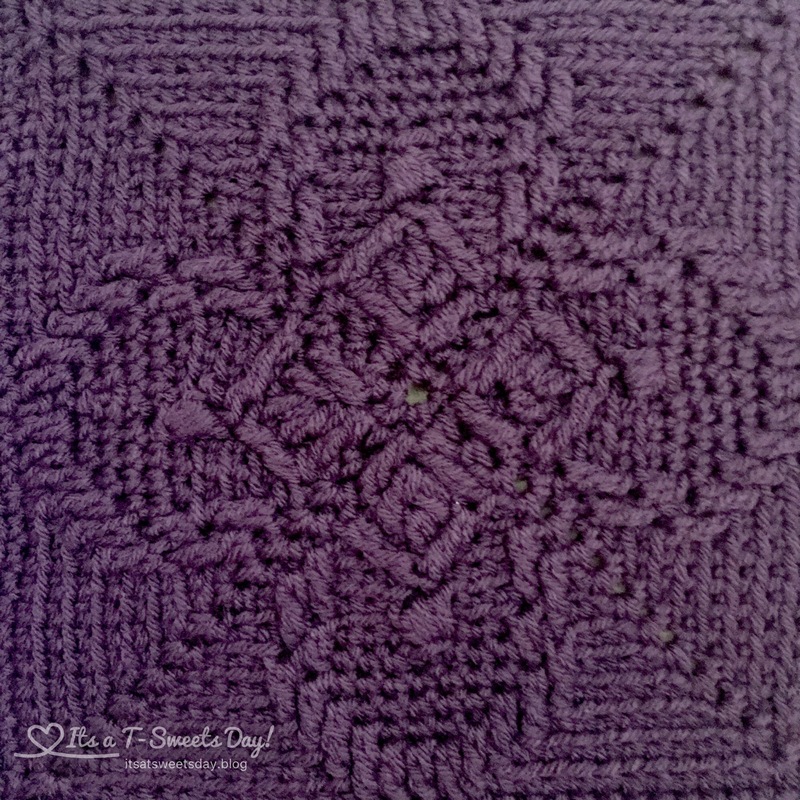 The patterns and the colors – you are very talented! Lol! Thank you so much:). Thanks for the link! They are beautiful. 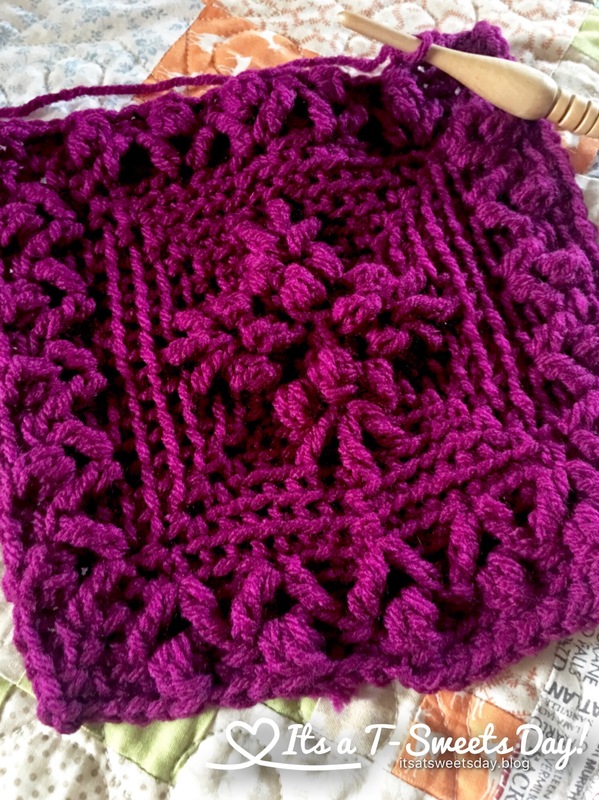 I too love texture in crocheting. You are welcome! I hope you will start this fun CAL and we can crochet together:)! 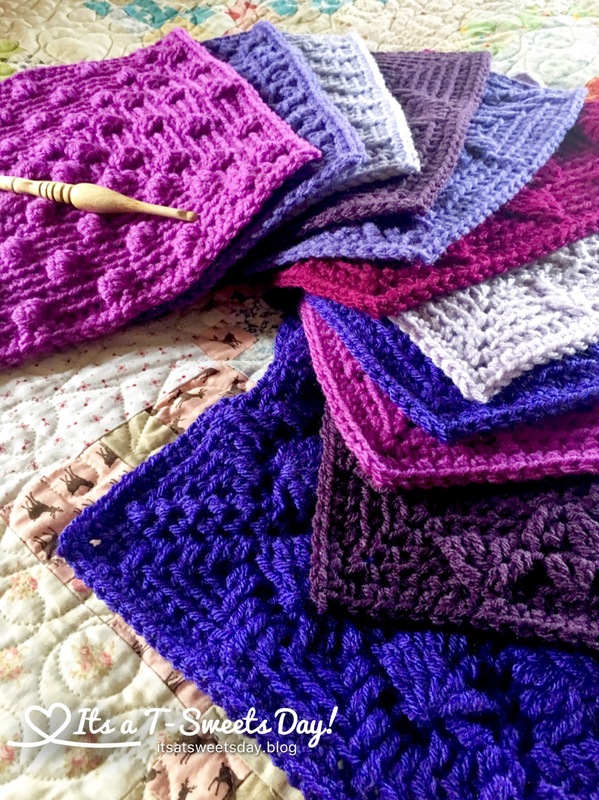 All that beautiful quilting, and crochet, too! These colors are so rich and beautiful together. Very nice blocks with great texture. 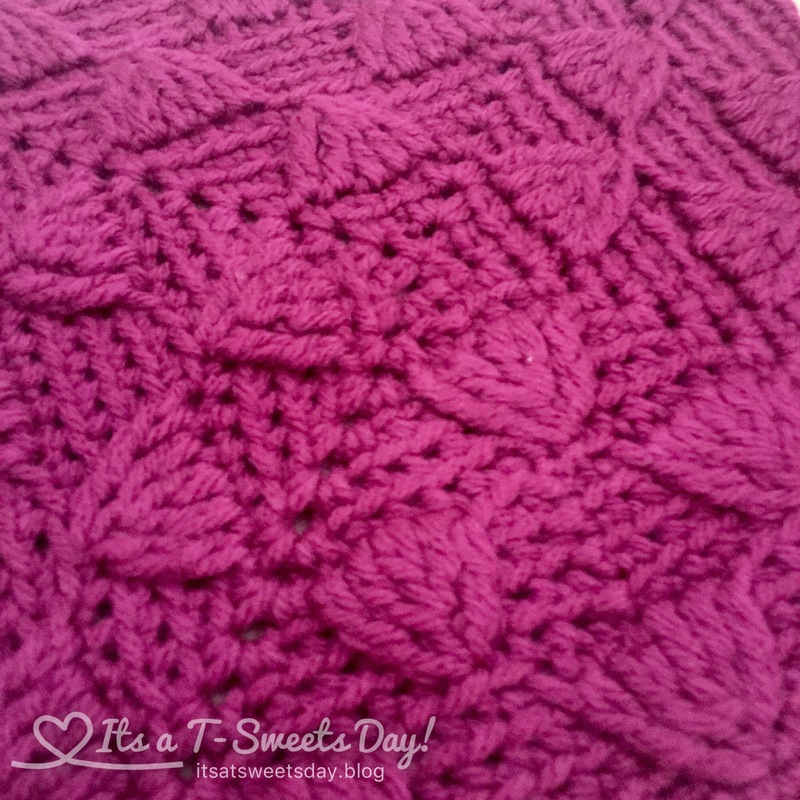 Thanks for the tip re rough v. smooth yarn to make the patterns stand out!